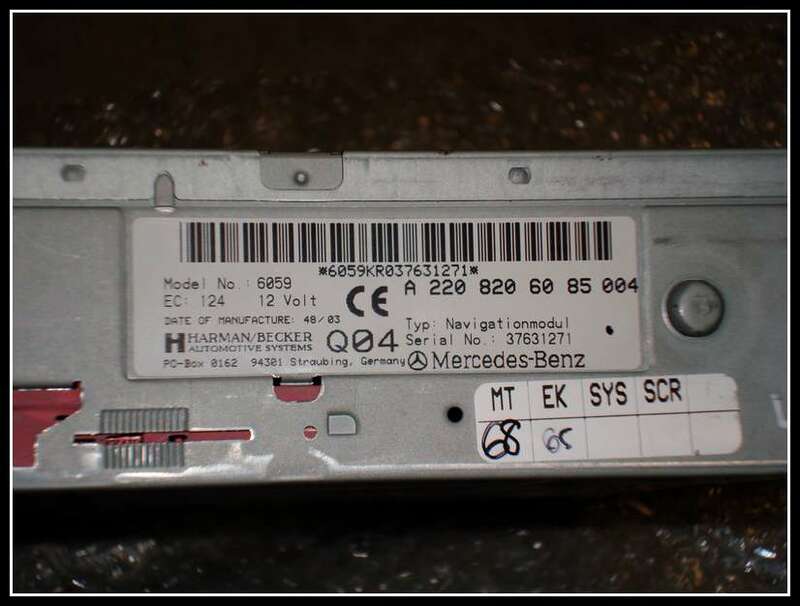 So just this past week I installed Harman Becker's OEM Navigation computer in my 2005 w211 AMG... I searched this forum like there was no tomorrow and am thankful to all who attempted this before me. I found a lot of useful information, but I also had questions that were unanswered. Therefore I decided to create my own post to help anyone else who may be interested in doing this. I did not have to purchase the bracket as my vehicle already had the bracket installed. 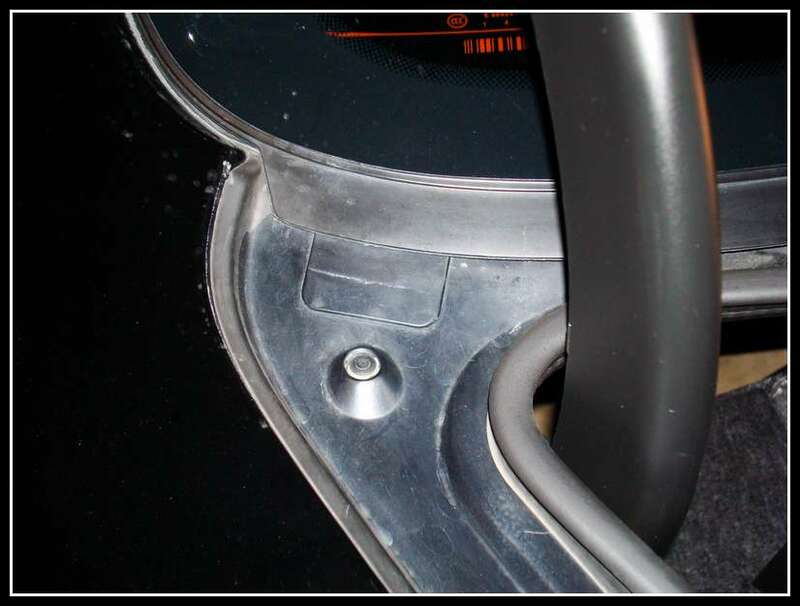 If you vehicle has Keyless Go, or Parktronic, then your vehicle will already have the bracket and correct panel in the rear. If not, you will have to purchase the bracket and panel. There is an Audio Gateway that has fiber going into it. 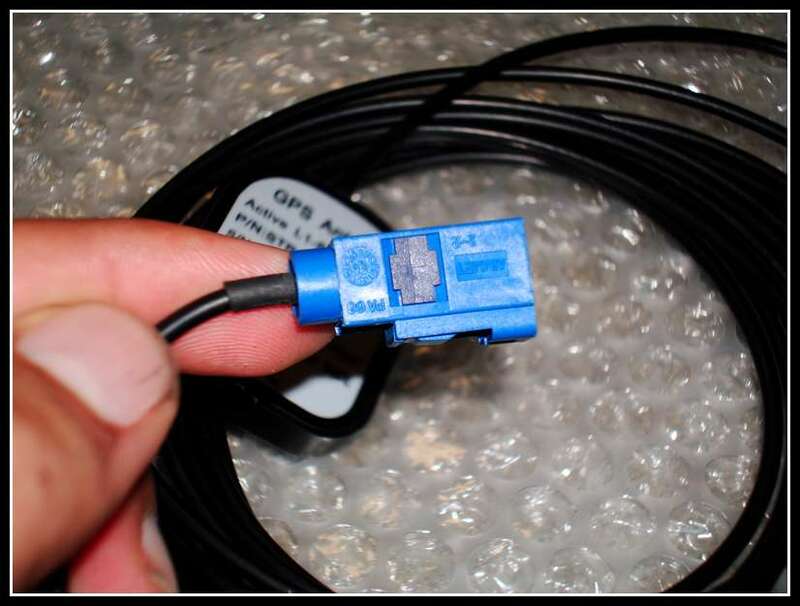 You remove the yellow Fiber wire from the AGW plug and add the Orange Fiber cable from the MOST connector you purchased from the dealer. 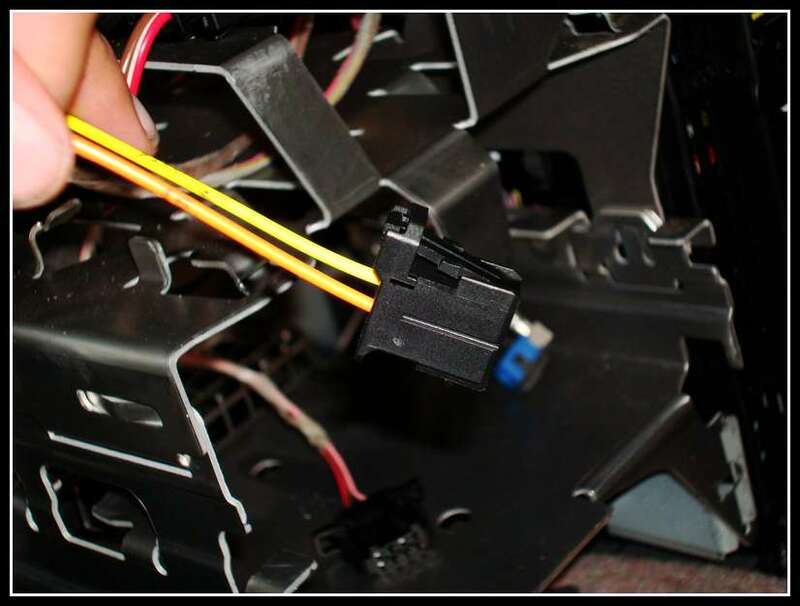 Once you do that, you now get the yellow fiber cable you removed and add it to the open port on the most connector you purchased. Power and antenna wires will already be located behind the bracket ziptied together. If your teleaid is deactivated, you do not need the GPS Splitter. 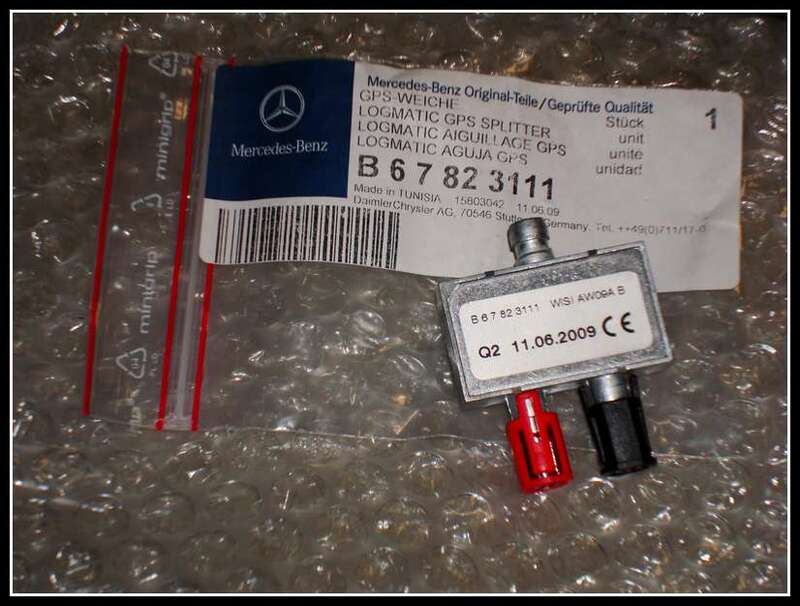 If it's active, then you must install the splitter otherwise you will get errors in your instrument cluster. 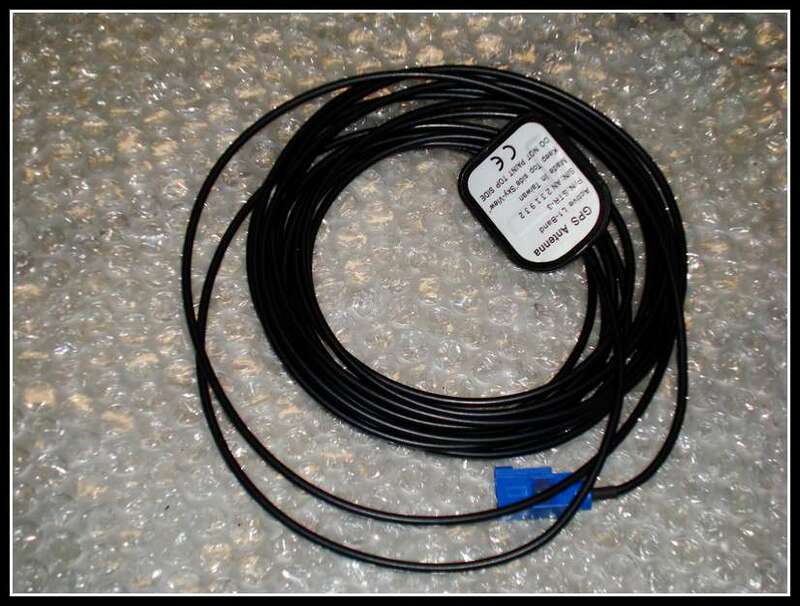 When you find the power and antenna wires zip-tied together, follow the black antenna wire. The end of that cable is unplugged. This is what will either plug into the GPS Splitter, or it will plug directly to the GPS Antenna where the Tele-aid is currently plugged in. 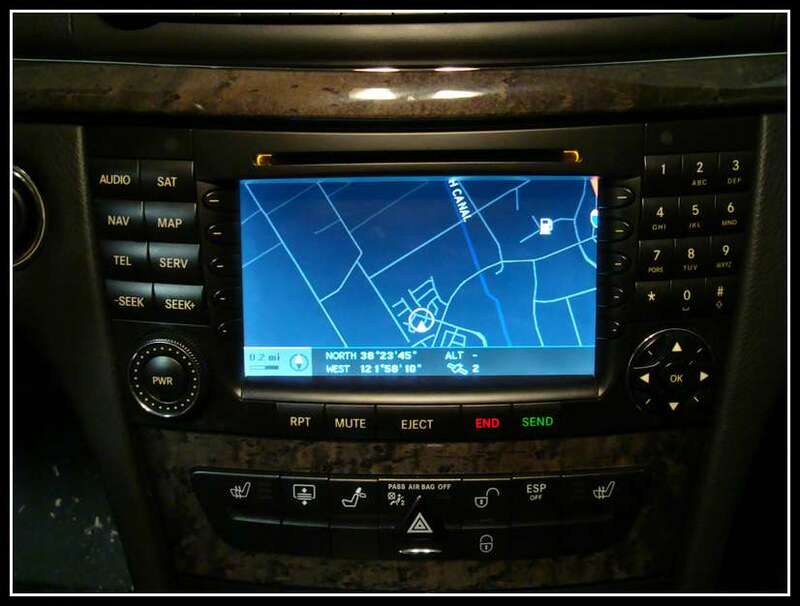 Plug everything in and make sure your Comand recognizes the Navigation Processor. 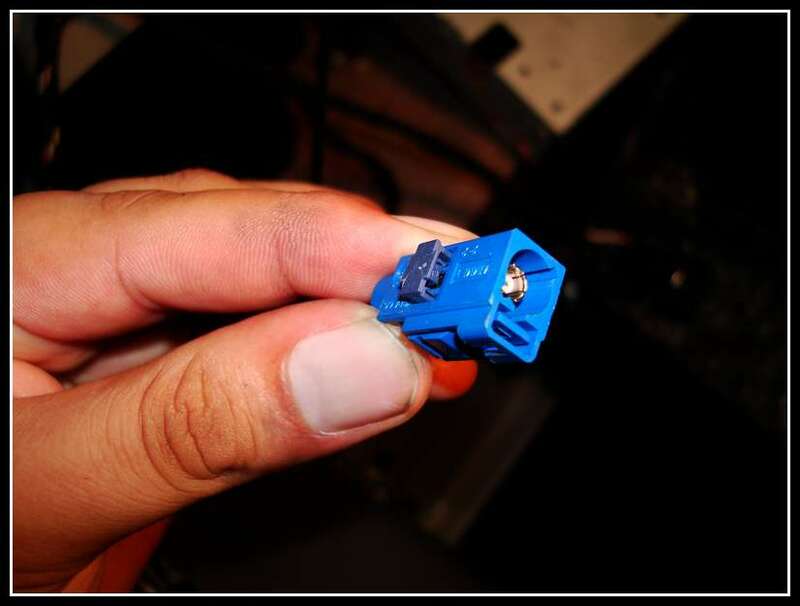 If your Comand powers on for a few seconds and then turns off, there is a break in your MOST ring, and you should double check all fiber optic connectors. This is the basic step by step proces of adding factory navigation. If everything is working, close it up and enjoy! 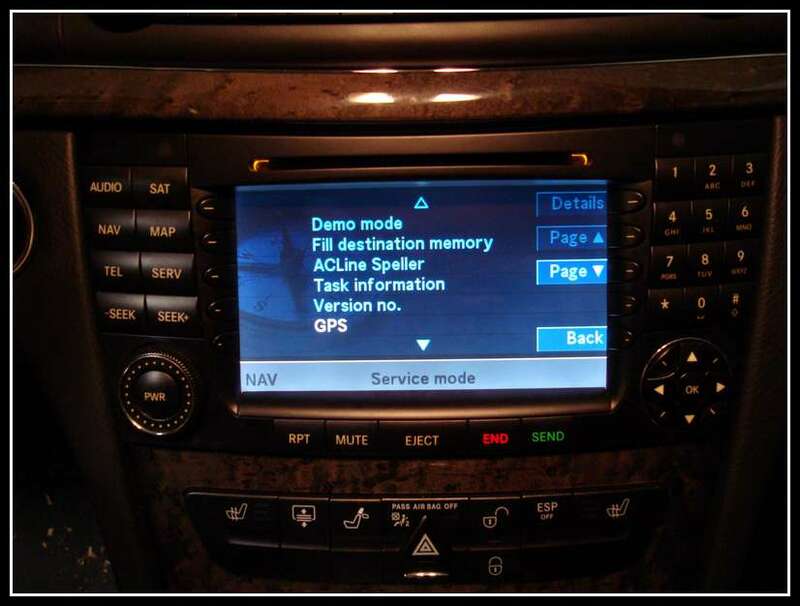 My Comand noticed the Navigation processor right away, and loaded the software. However, it would not display a map, nor would it pick up any satellites. I double checked all connections but was unable to find anything that was improperly plugged in. About a year back I had the dealer disable the Tele-Aid functionality of my vehicle. I would always get a warning message in my instrument cluster and had always assumed it was due to the service subscription being expired. This led me to search if disabling Tele-Aid would also disable the GPS antenna... Well, it doesn't. 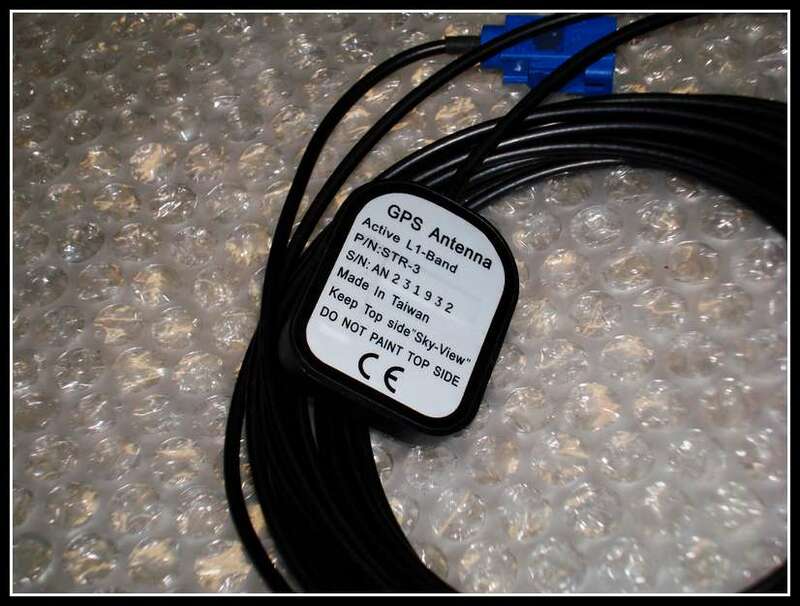 The GPS antenna is not software controlled as it is in some vehicles. 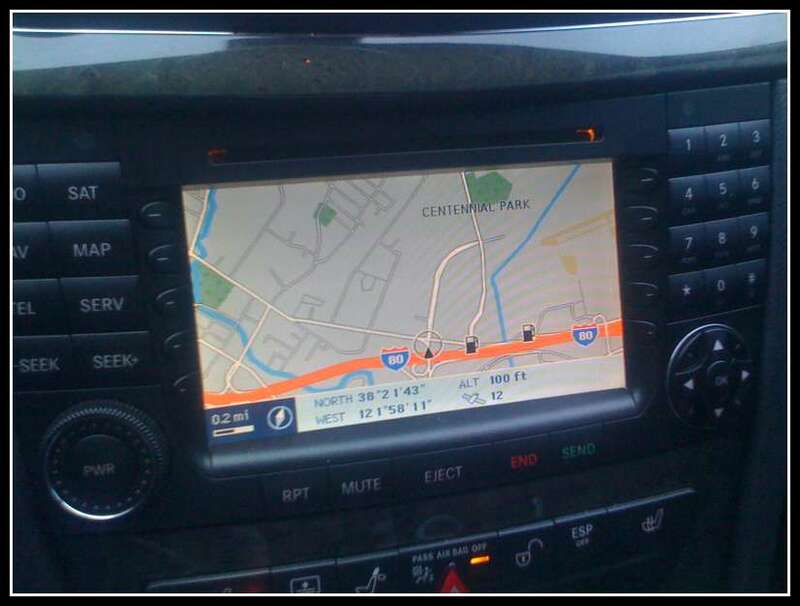 At this point I started to wonder if the navigation processor I purchased may have been bad. After all, it would not properly display a map, just show a gray screen with nothing on it. The next day I drove out to Gambari (a very polite respectful person) We plugged in his GPS antenna. Nothing happened initially, but after a few minutes my Comand showed "0" satellites locked in. This confirmed that there was a fault with my factory GPS antenna. After an additional 5-10 minutes my Comand was able to lock in a few satellites. However, I still had no map being displayed. 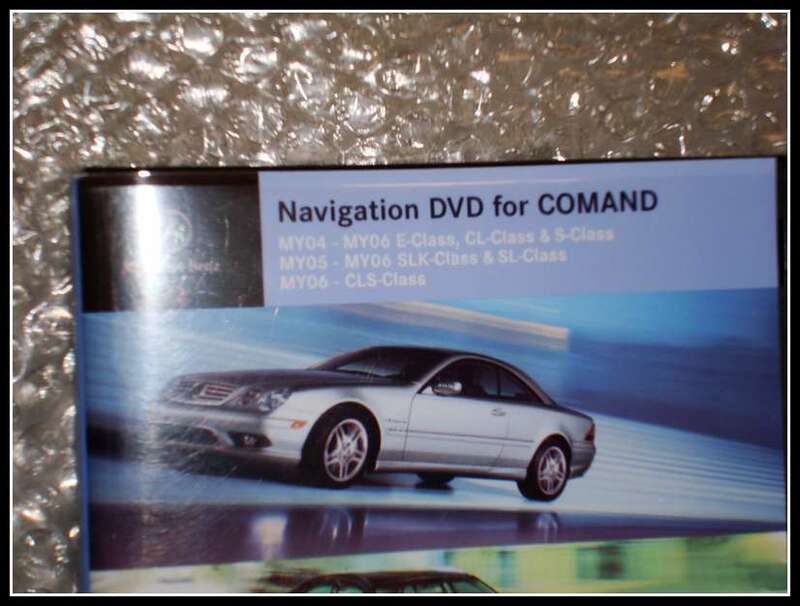 We tried the map disc from Gambari's vehicle, but no luck... Gambari had the Navi Software upgrade disc, and the Comand software upgrade disc. What a lifesaver! So we updated the software for both devices. 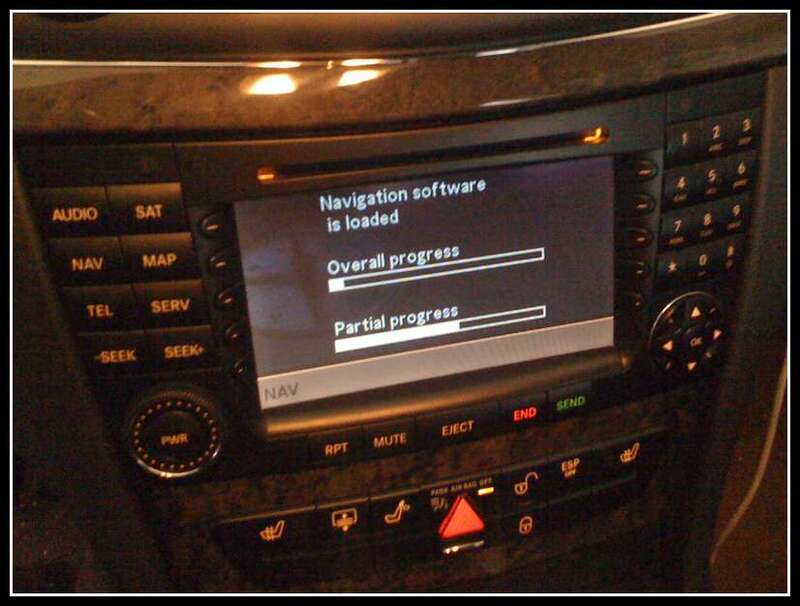 For the Navi drive, just pop the software update to the rear drive and it will automatically update the software. 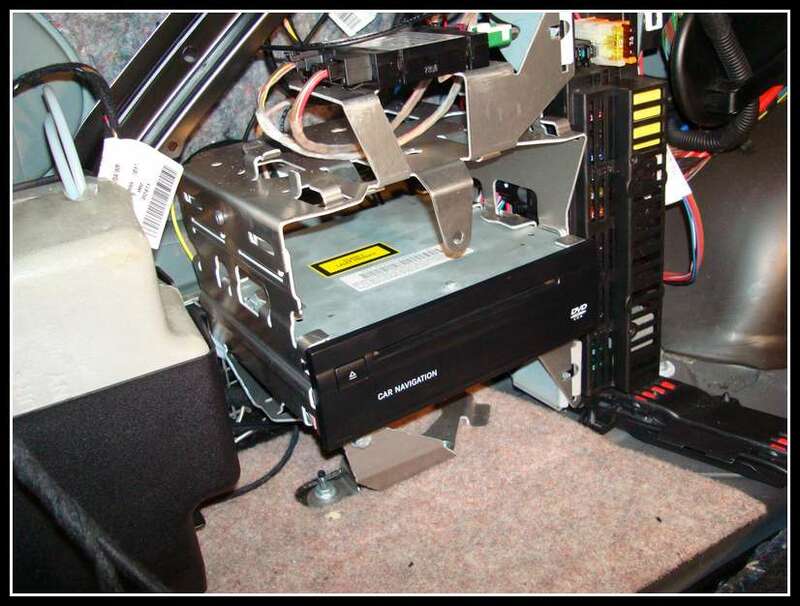 For the Comand drive, you eject any cd from your single disc slot and power down the comand. Then, Power up the comand, and immediately after powering up hit 1-3-8 together and keep them pressed until your screen prompt changes and asks for the update disc. I recommend having your vehicle started when doing this. The Comand update took a good 5-10 minutes. 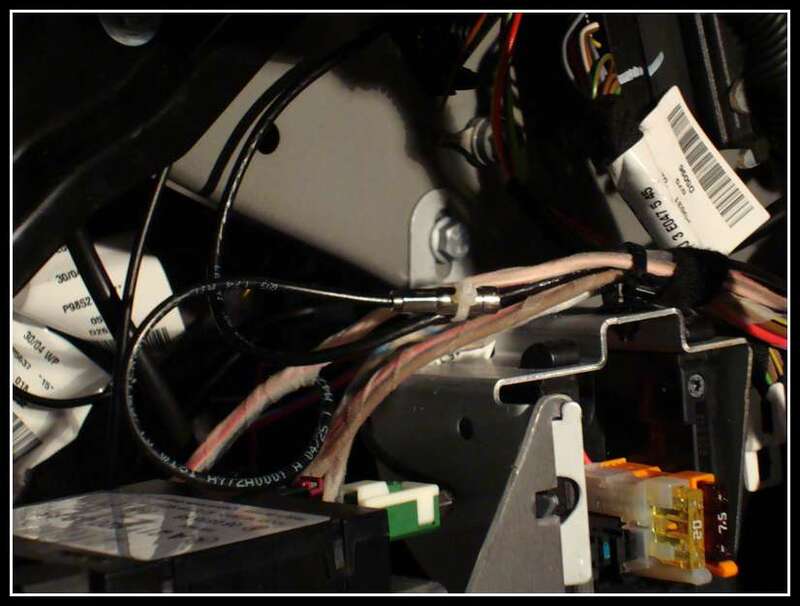 During this process be extra careful not to hit any buttons on the Comand, or not to start/shutdown the engine as this flashes the device memory; any power loss can render your Comand useless. Once the update was complete, I had a few extra features I had not noticed before but I still had no map being displayed. By now it had been roughly an hour of tinkering in cold weather, we decided to call it quits. 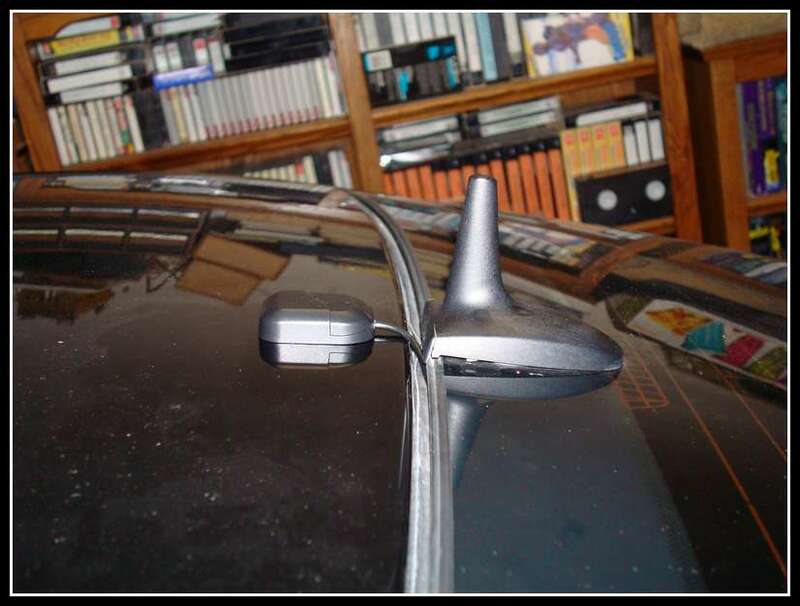 The GPS antenna was magnetic. I routed the cable to where it would not be crimped and stuck the antenna on the right rear fender. Gambari and I shook hands and I paid him for the GPS antenna. Now, as I drive off, the map appeared!!! So this is what I was able to gather. When I initially installed the unit it was not picking up any satellites. It did not know where it was so it didn't display anything on the screen. Occasionaly when I would start the car after work or something, a map would appear but it would show be as being somewhere in the midwest. This is most likely the last location the drive was powered down. As soon as I would move the map would turn gray again. This was because the unit was confused and did not know where I was. When I drove away from Gambari's place, the unit now had GPS signal but was still confused where I was. After a few hundred feet the map appeared and showed me to be in the correct location. After searching the crap out of this forum, I learned that many people had this issue but none of the posts I ran into had a solution. 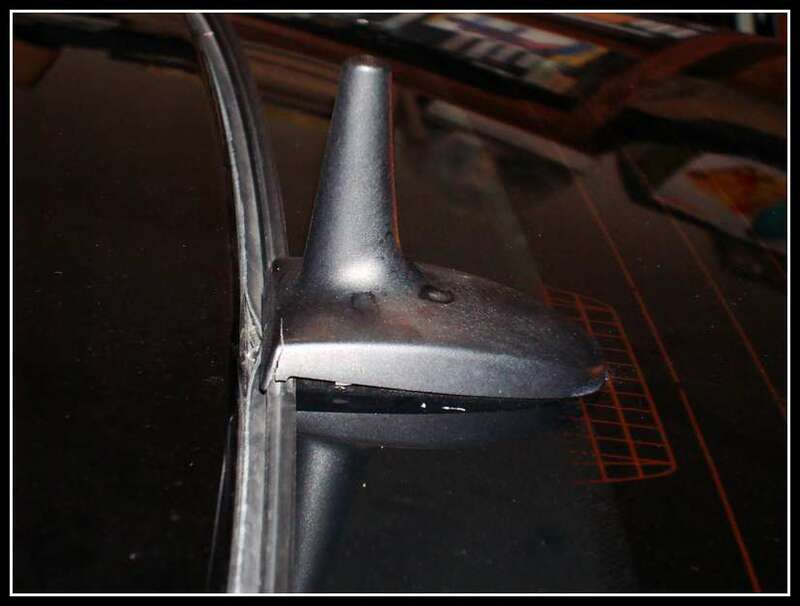 In this case, it was a bad GPS antenna. I went home and took rest. The next night I finished everything off after work. 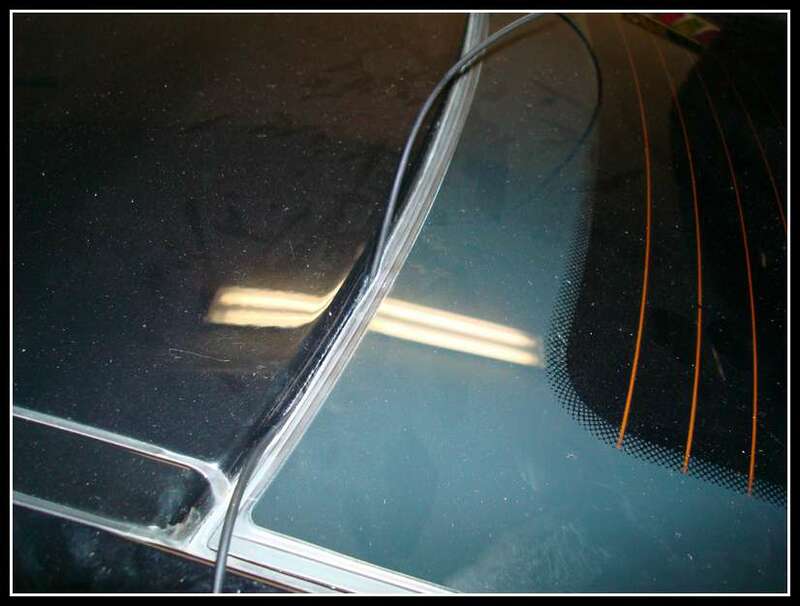 Below are pictures of the entire process. This is a picture of the MOST connection that goes to the AGW. 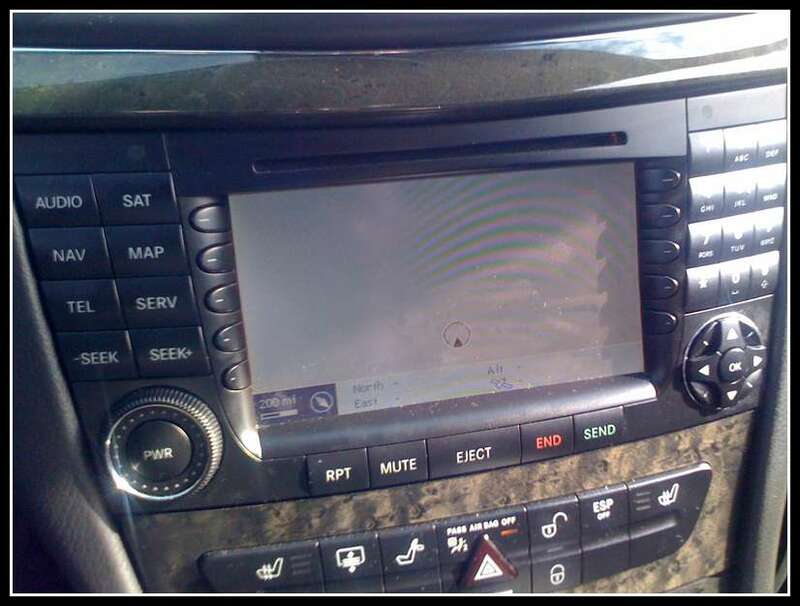 The most plug for the navigation has already been inserted in this picture. This is the plug you buy from the dealer. The yellow cable is the cable you take from the AGW connector. The orange cable goes back to the AGW connector in the place that the yellow cable was removed from. Here you get a better idea of how it plugs in. Follow the trail of the orange cable by my thumb. It goes into the AGW connector which is sitting there off to the right. That is normally where the yellow cable would have been plugged in, which is now plugged into the NAVI fiber connector. 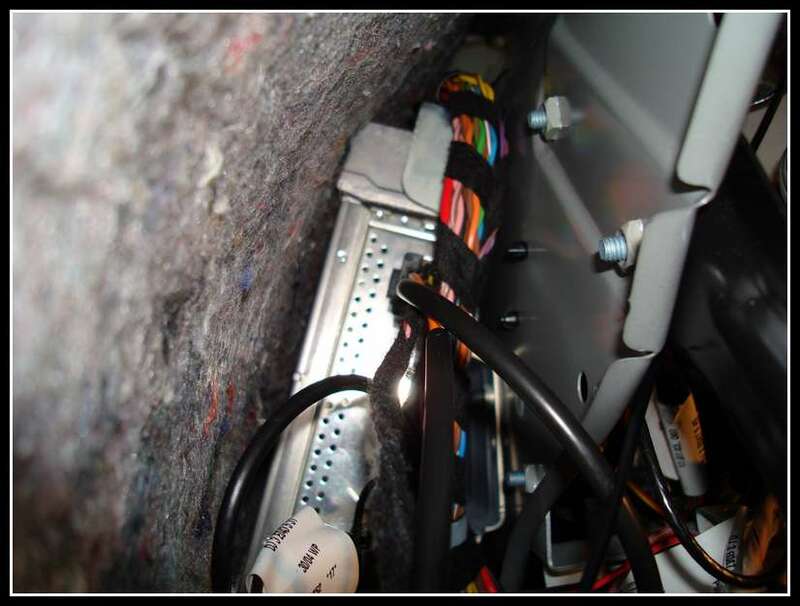 Now, you ask yourself, where is the AGW (Audio Gateway/Amplifier) located? Its located behind this at the top right here, on the other side. This is the the AGW looks like. 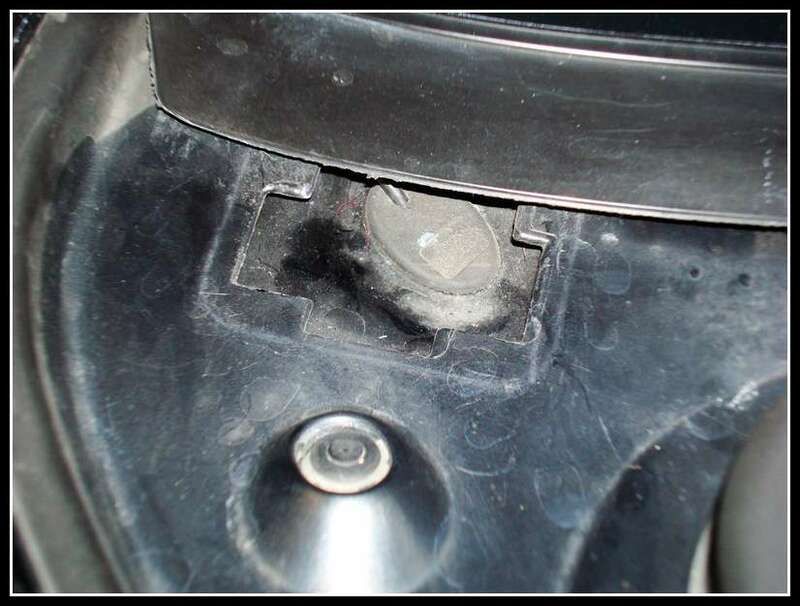 In this picture, the AGW MOST plug is reinserted. The plug is the one that is highest up in the picture. This is a better view to show where it is located. It is on the other side of the wall that the AGW is located on. This is what it would look like if you were to use the GPS splitter. The wire on top comes from the GPS antenna. The wire on the left (red) is the current wire that went to Tele-Aid. 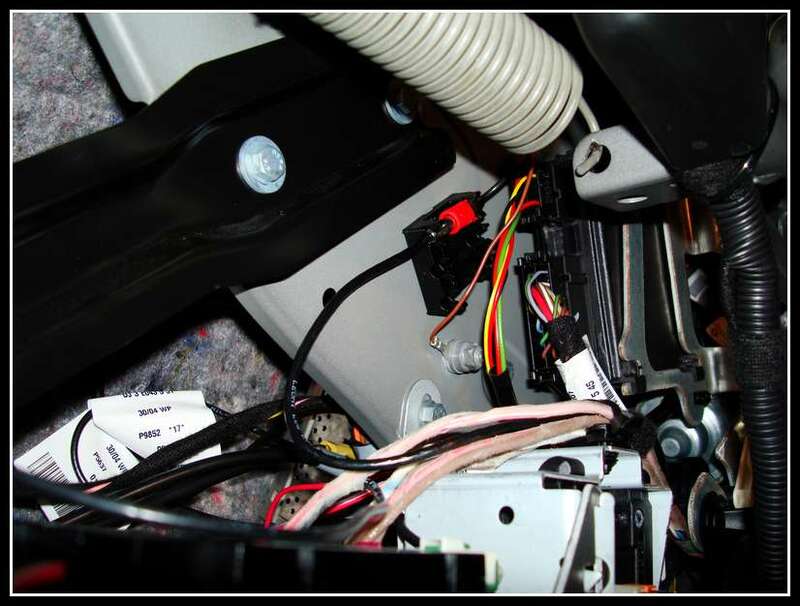 The wire on the right (black) goes to the navi drive. 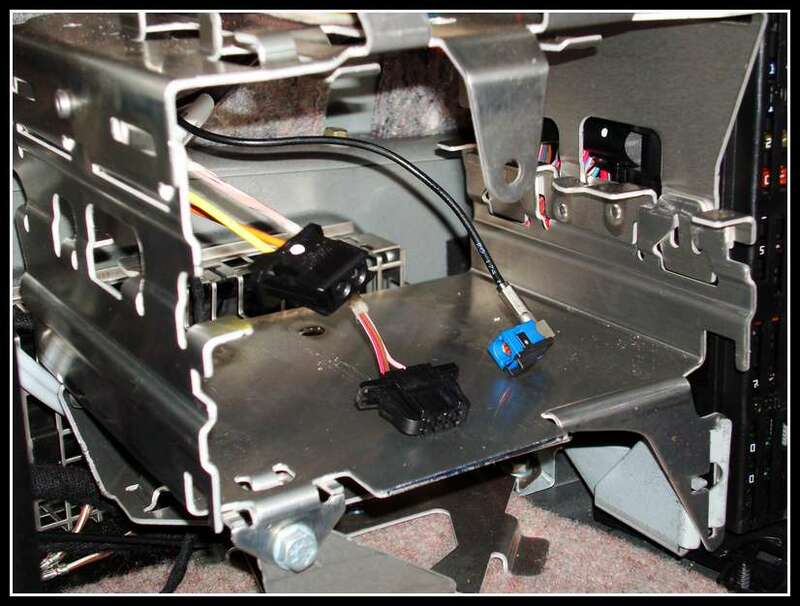 The Splitter mounts to the same location at the factory location was previously. 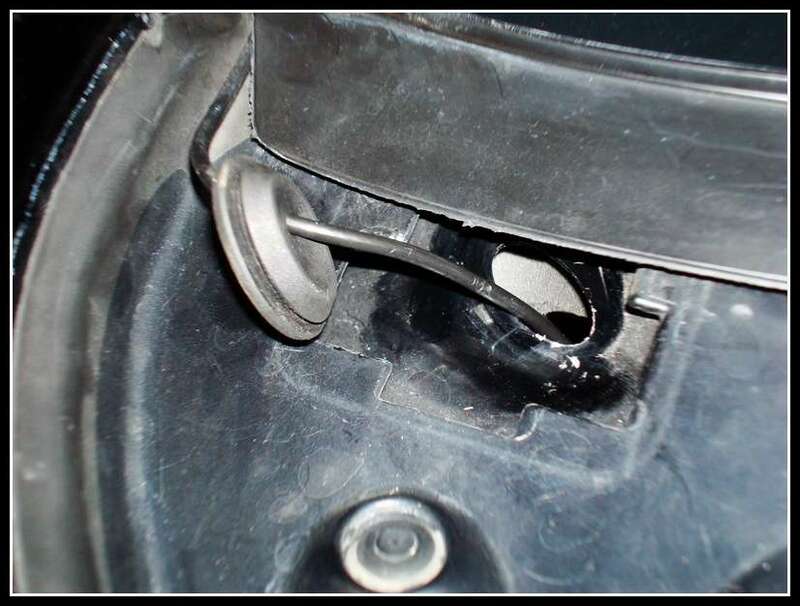 You break off the black mount and put the splitter in its place. 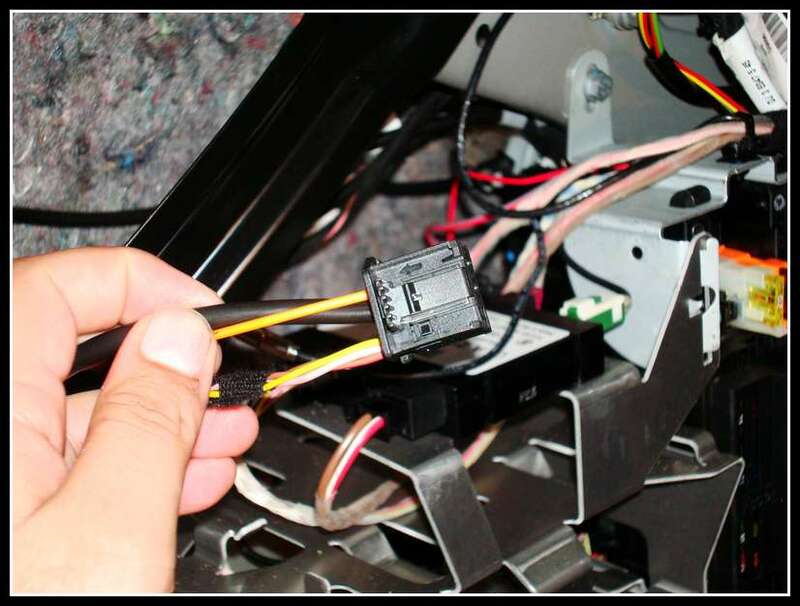 This is how the GPS wire feeds into the trunk. 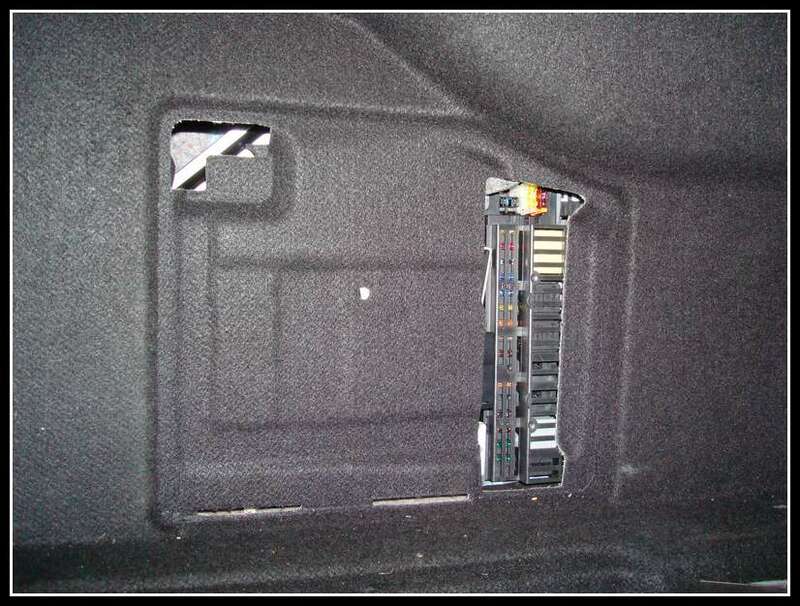 Remove this panel located on the left side of your trunk, under the window. 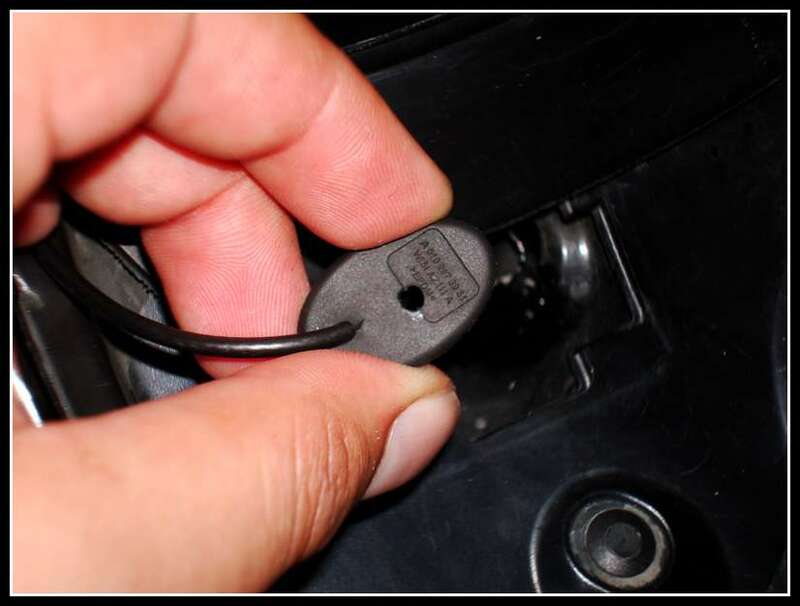 This rubber grommet is where the cable feeds through. Here the grommet is removed. Be careful not to damage the grommet as I'm certain this is an area that water would travel during rainfall. I used a Dremel and made a hole in the grommet. 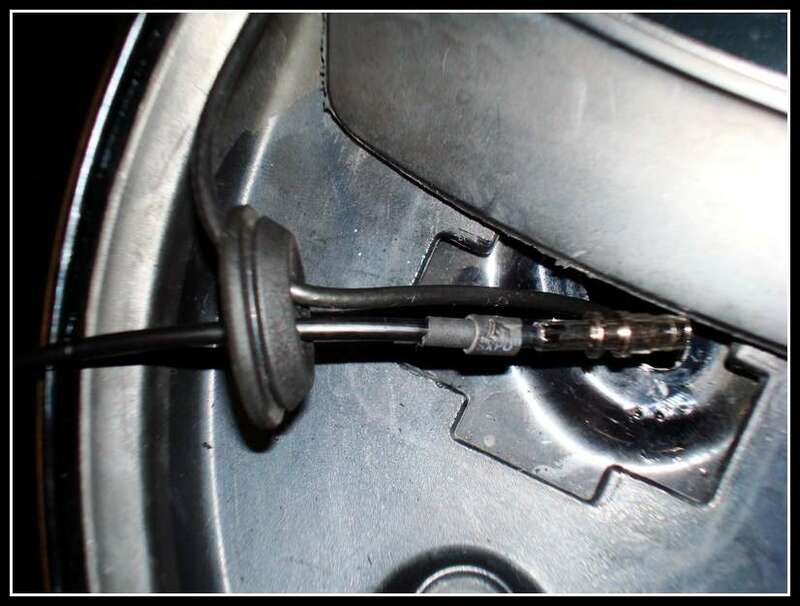 Now, the hole in the trunk is to small to feed the GPS plug with the connector still attached to it. I removed the connector and was able to feed the cable like this, without the blue plug attached. Here it is fed through. I decided to leave the Factory GPS wire in place. 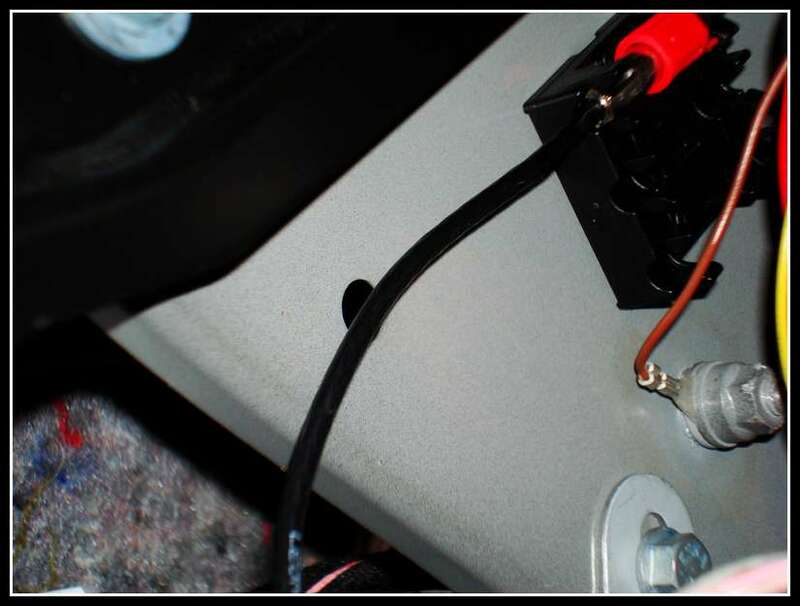 When you feed the wire back into the trunk, simply feed the wire back into the connector. 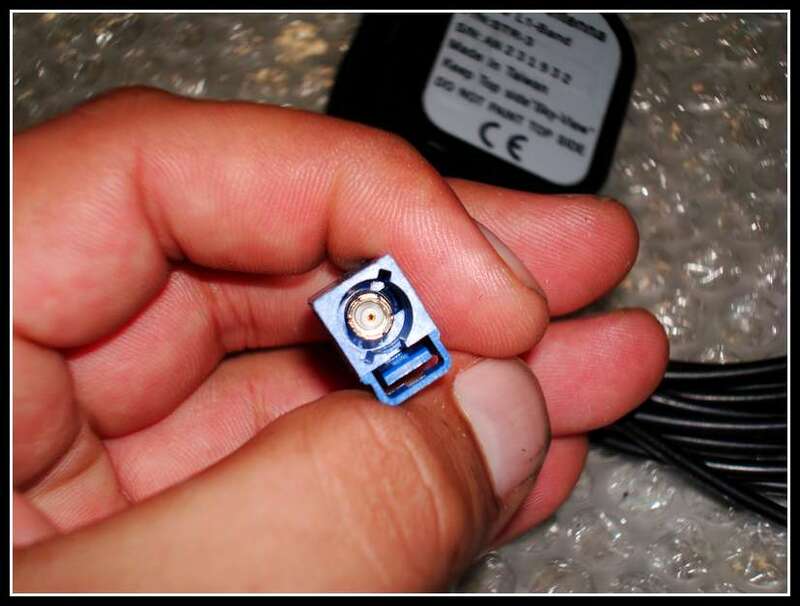 Then when inserted into the blue conncetor, re-insert this purple plug which will prevent it from coming out of the connector. There it is, all re-attached and locked. 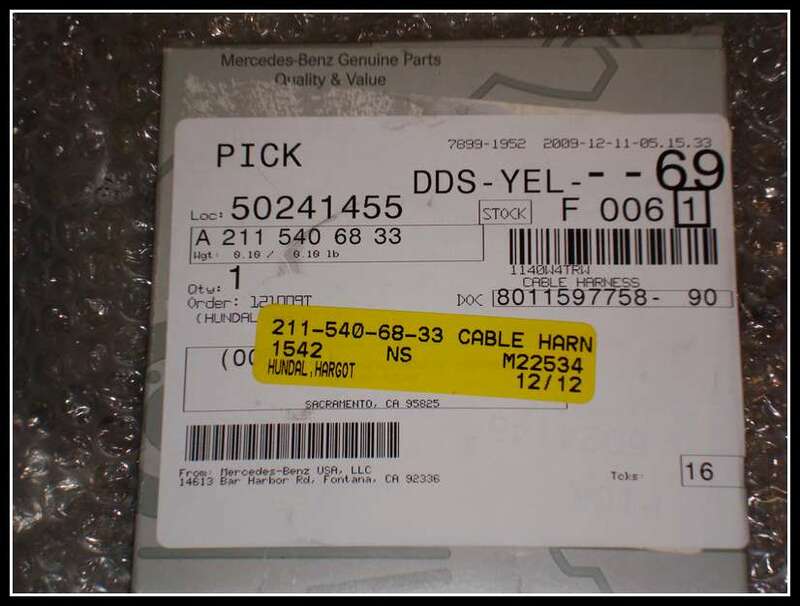 Here we have the MOST connector, the Power connector, and the Factory GPS cable waiting for the nav drive. 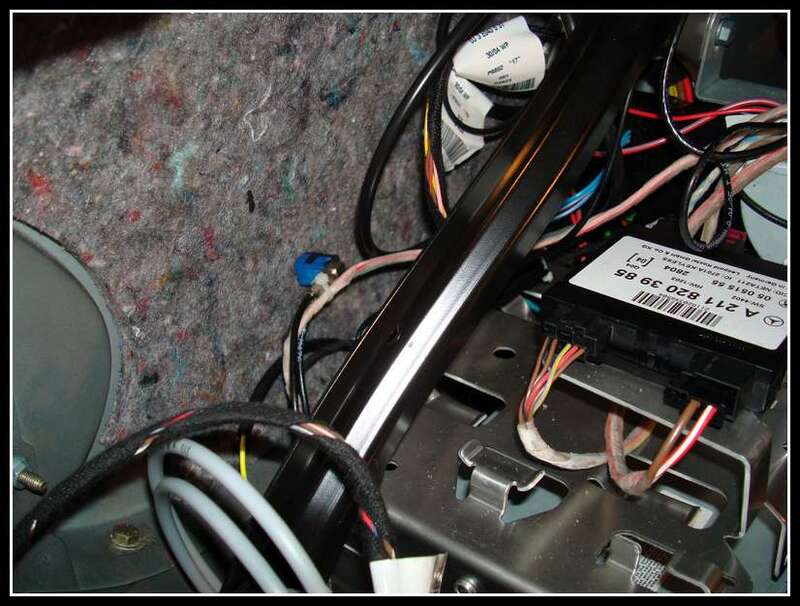 Here is the nav drive plugged in using the aftermarket antenna wire, not the factory GPS cable. 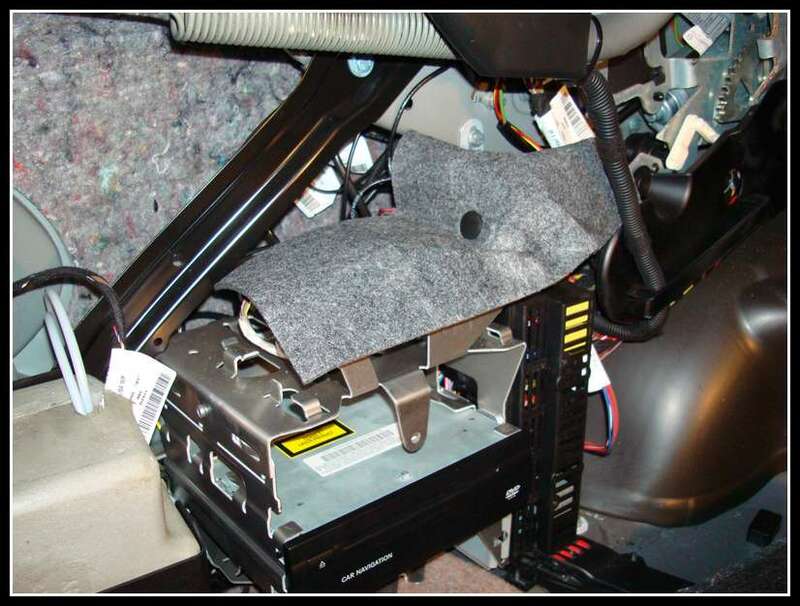 When sliding the Navi Drive back into place, be very cautious. I was glad to catch this. Take a look inside the bracket, the yellow wire. 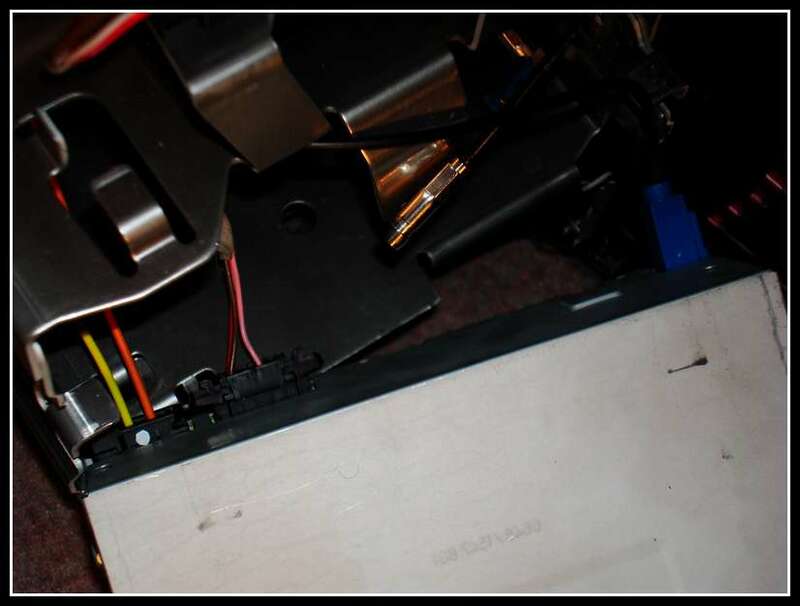 If I were to push the Navi Drive back any furthur, the yellow fiber cable would become damaged due to that metal piece being behind it. 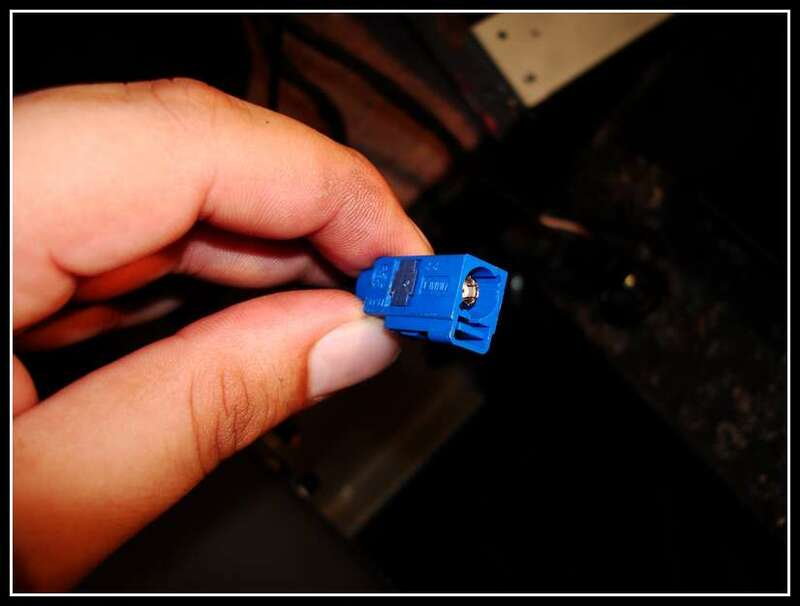 Always use extreme caution and care when working with Fiber Optic cables. There it is, plugged in and locked in place. The drive will "click" when it's funny inserted and locked. Here is the GPS cable being routed. Here it is all done. At first I didn't like how it looked, but I've since tucked the wire in some more and it looks ok. I preferred mounting it outside rather than inside on the rear deck to achieve better coverage/signal. 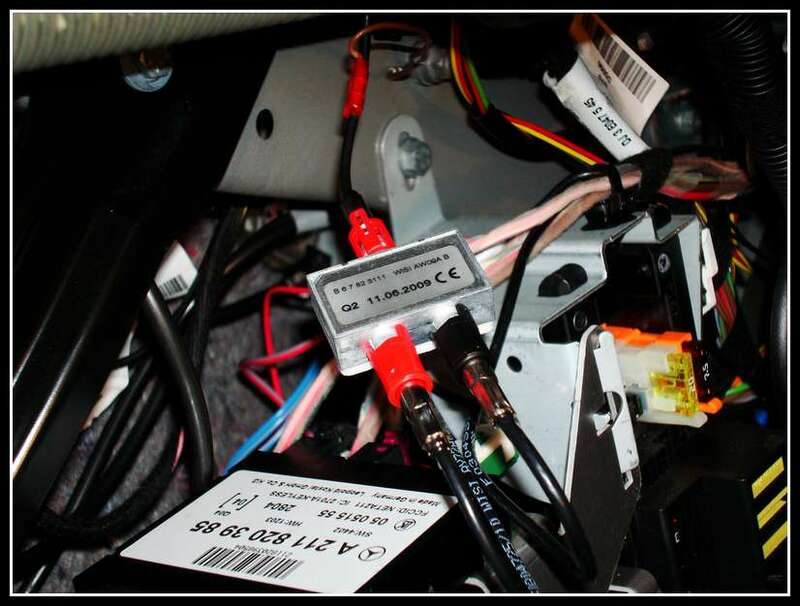 Here is the factory GPS wire ziptied to the Navi power wire. Here is the other end ziptied. 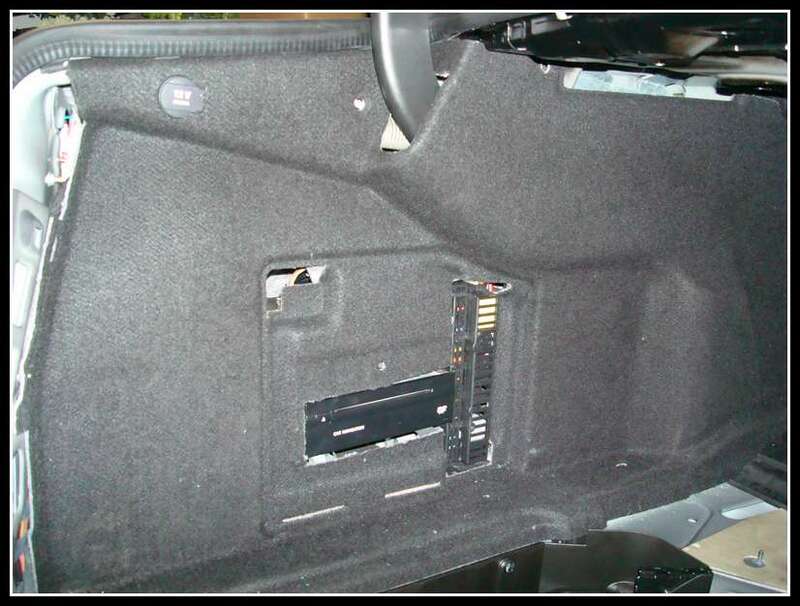 There are a lot of electronics on the left side of the trunk. 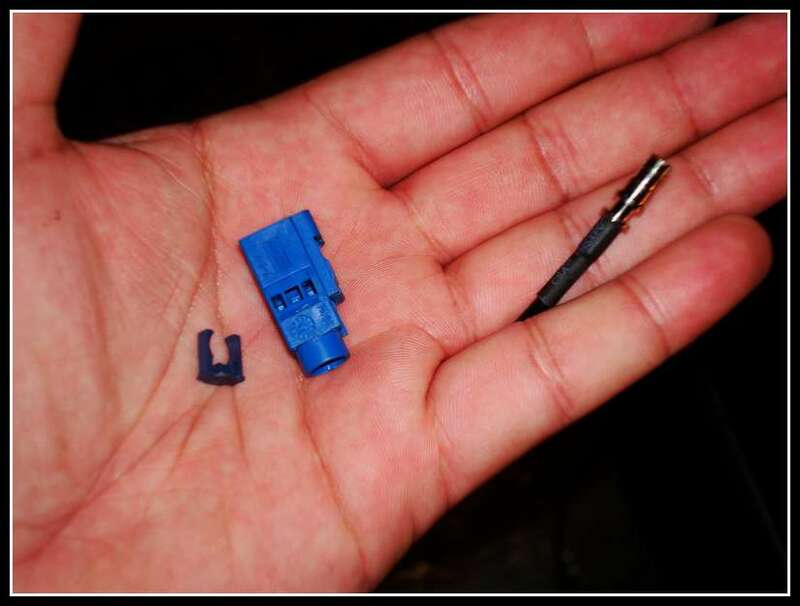 The last thing you would want is for loose conncetors to move around and short components out. This is a cover that was there when I initially took the trunk apart. 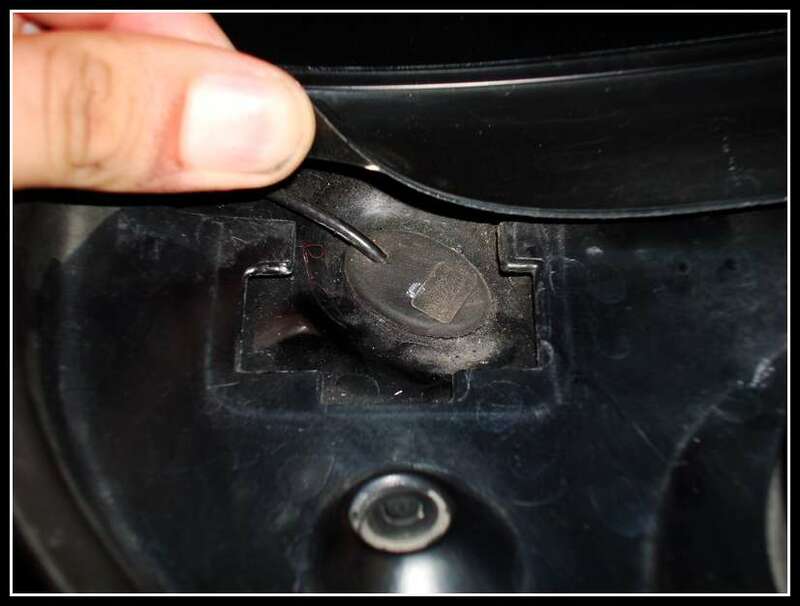 My best guess would be it's to help absorb/keep water away from the electronics if the rubber grommet for the GPS plug was to ever fail. Here is the panel put back in place. 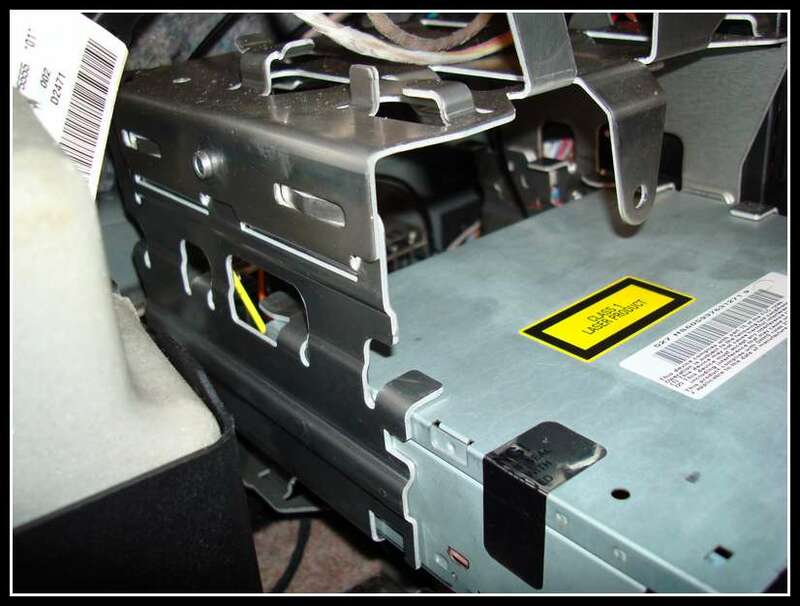 You must trim out a piece where the Navi drive is located. Here it is trimmed and finished. Not the best job, but it's good enough. 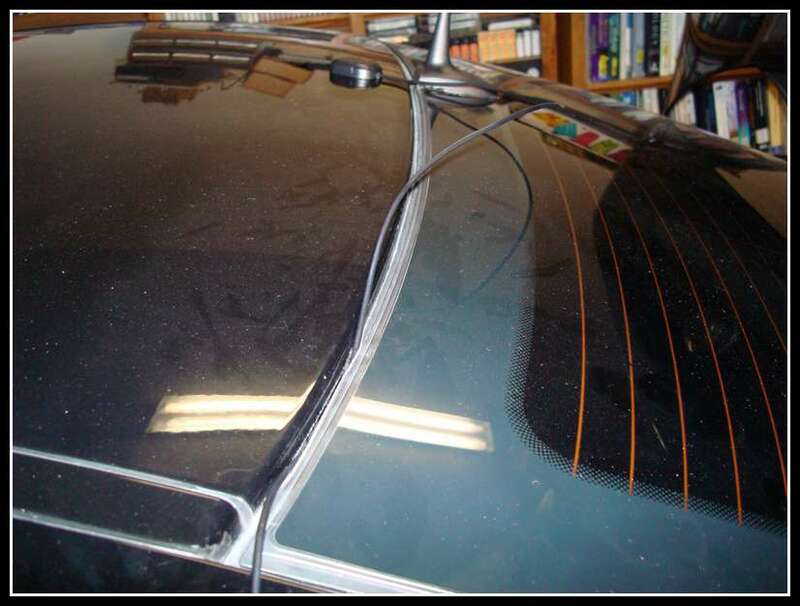 I used a dremel to cut it out and did it freehand while the panel was still in the trunk. 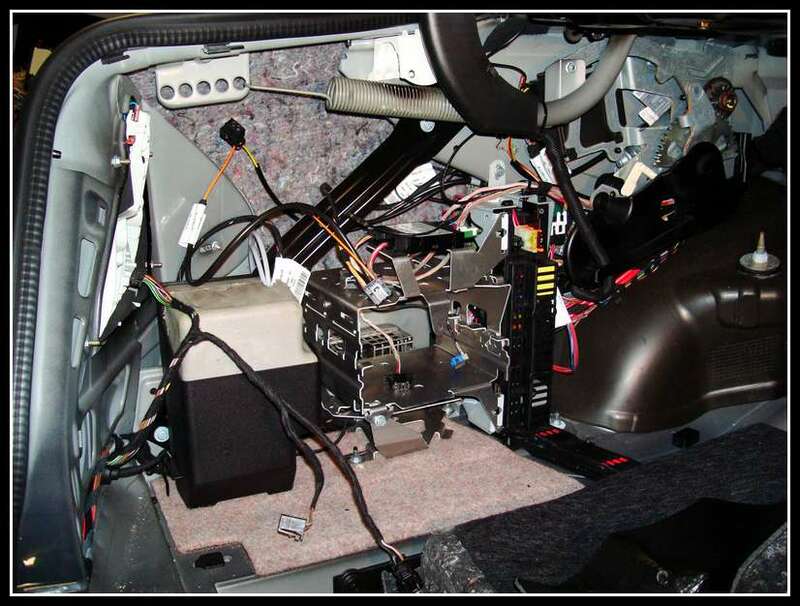 When you first plug the Navigation Processor into the most bus, your Comand will load software. 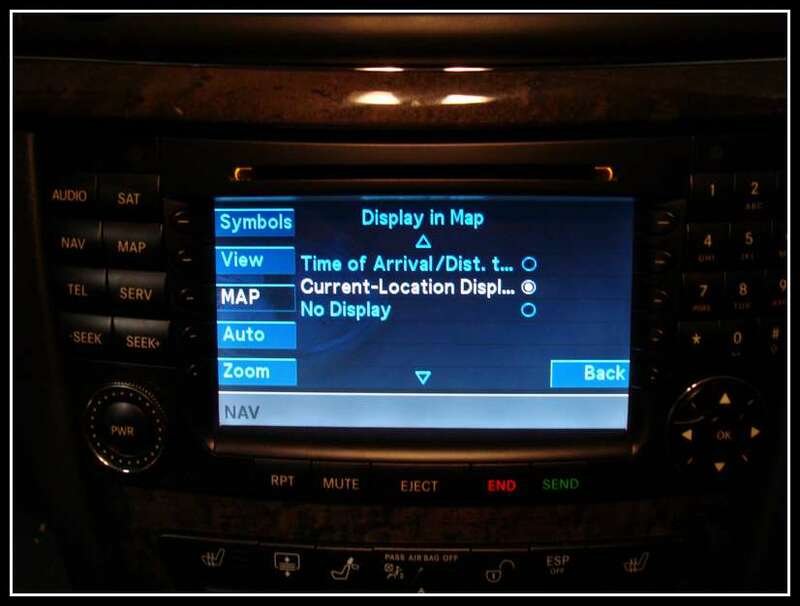 This will also happen if you upgrade the Nav map DVD to a newer version. Takes roughly 2-3 minutes. This is what I was getting after installing the unit. It is showing me to be somewhere mid-west. No satellites location, no lattitude/longitude display. This is what would happen the second the car moved. 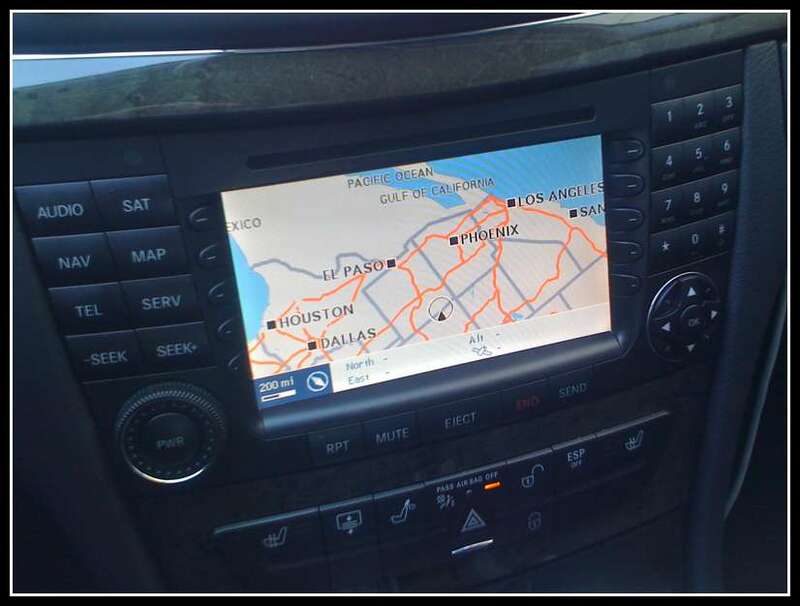 The Processor would be confused as to where it is, and display a gray blank map. If you hit the "nav" and "5" button, you will get this hidden menu for the Navi Drive. Scroll down the "GPS" and hit ok. 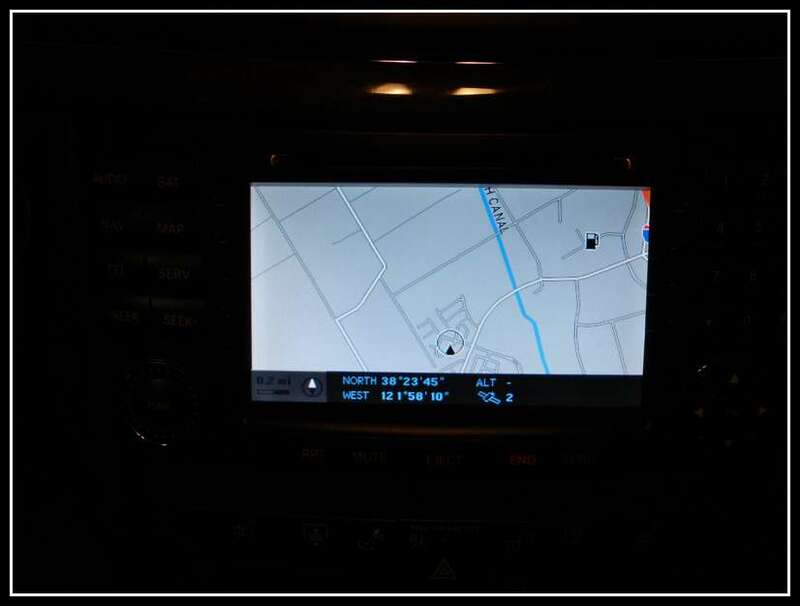 This is what you get when you go to the "GPS" screen. Notice how the date and time is incorrect. 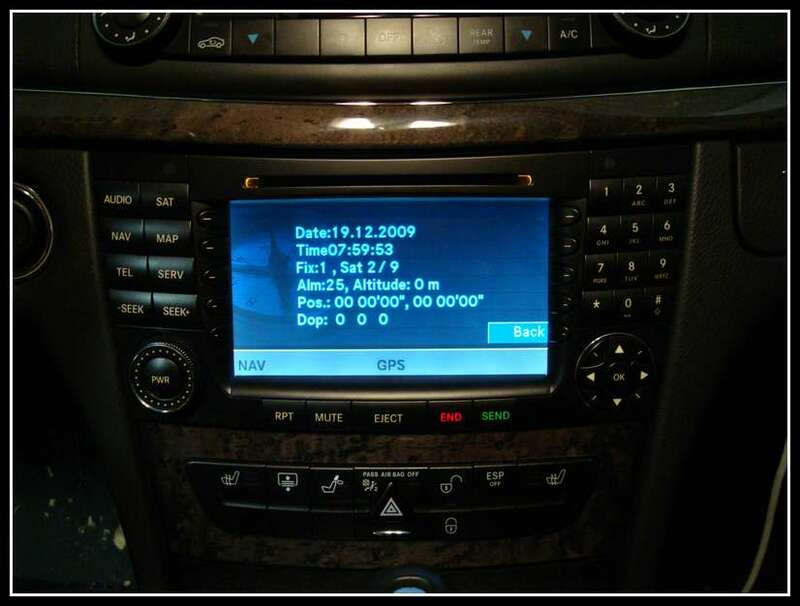 This is the date and time that the drive picks up from the GPS satellites. 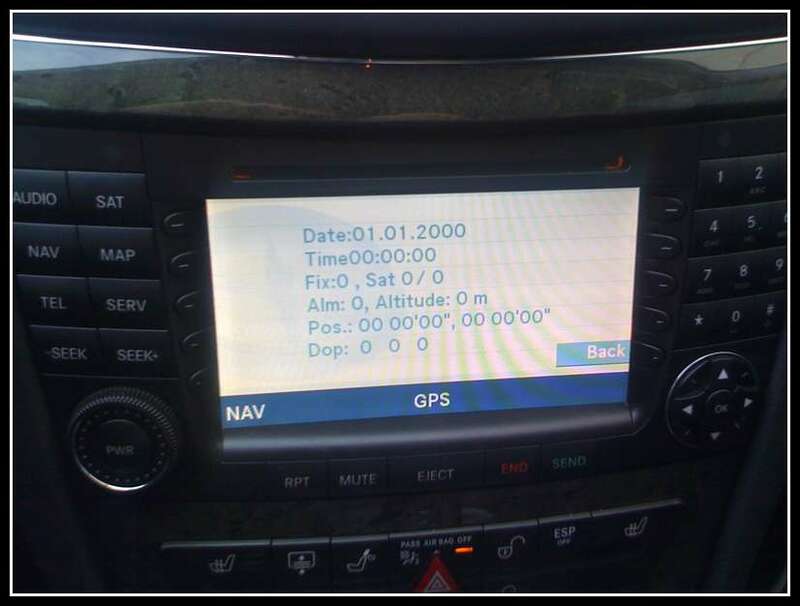 Since there was no GPS signal, its all 0's mostly. Here is how it looked once I had a good antenna plugged in. Here is the map while the car was in the garage, still being able to lock in 2 satellites. And here we are, the next day. Driving around town with a great signal and 12 satellites locked in. If you don't see this option for the "eta" then your Comand drive needs the firmware update. Insane write up. Best one I've seen in a very very long time. 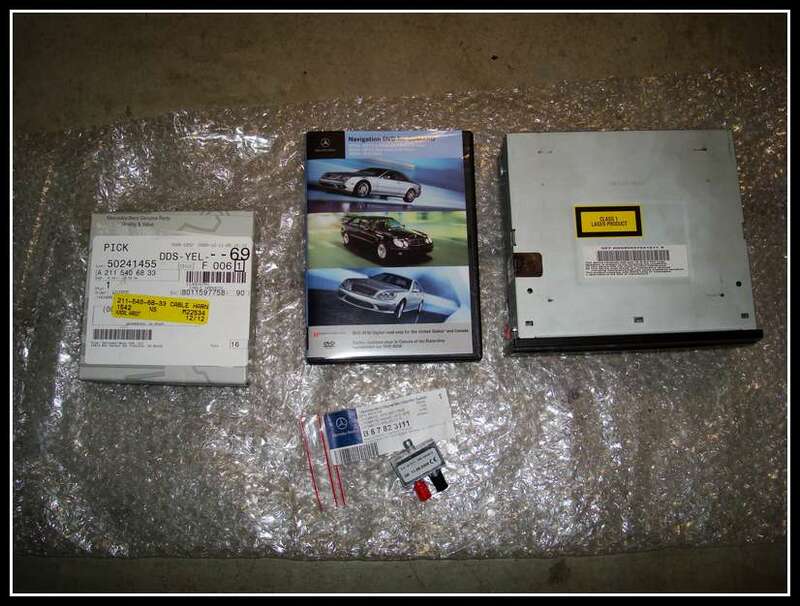 I assume that means buying at least the trunk-mounted DVD drive, can you give me a better estimate if I have all that Hardware (including wiring) ? 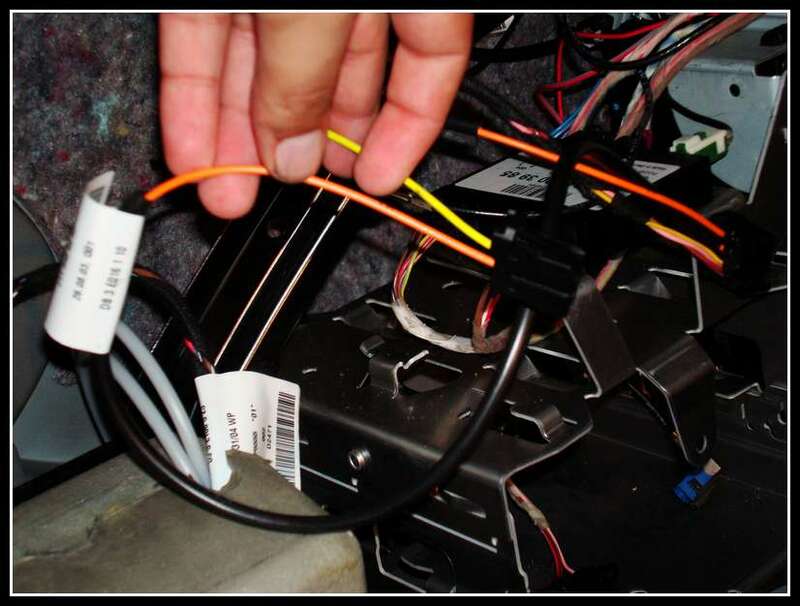 But the wiring may be too difficult to remove from current vehicle, so maybe I should just use new wiring/antenna/etc - any thoughts to that ? Amazing post. So detailed with pictures. Helped me fix my problem. 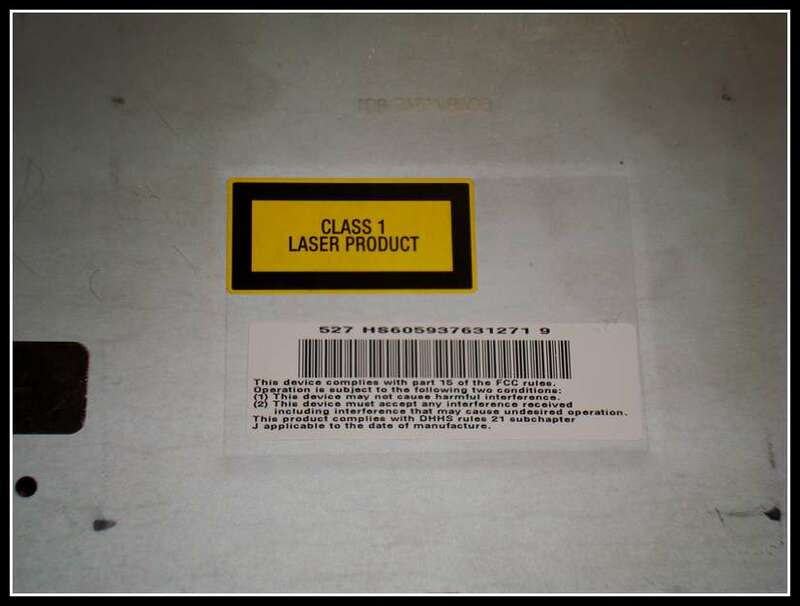 I purchased the processor from ebay, the sellers id was euro-customs... 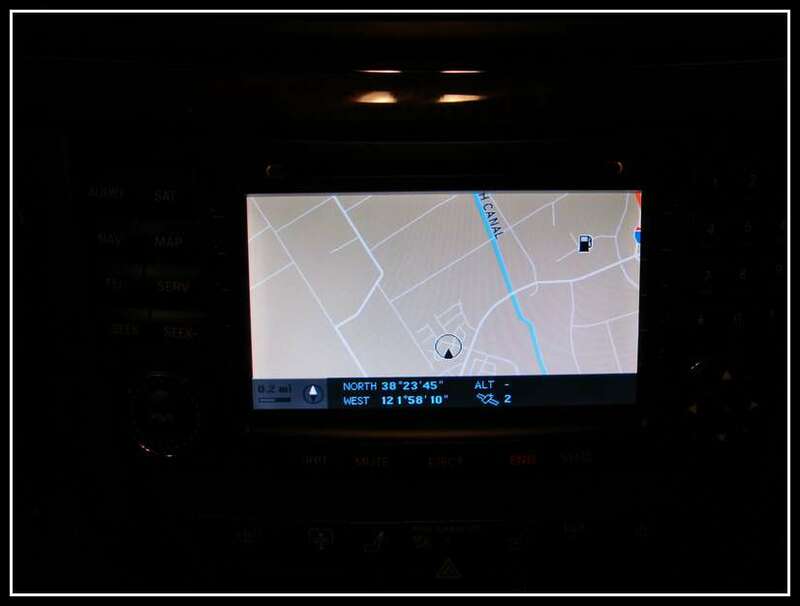 If you search for w211 navigation, you will see them pop up with the drive. I just completed my install on my 2005 E55. It went without a hitch thanks to your post. So if teleaid is disabled, all one needs to buy is the dvd drive/dvd/and the extension cable?? Thanks for this article man. Nice information you have here. 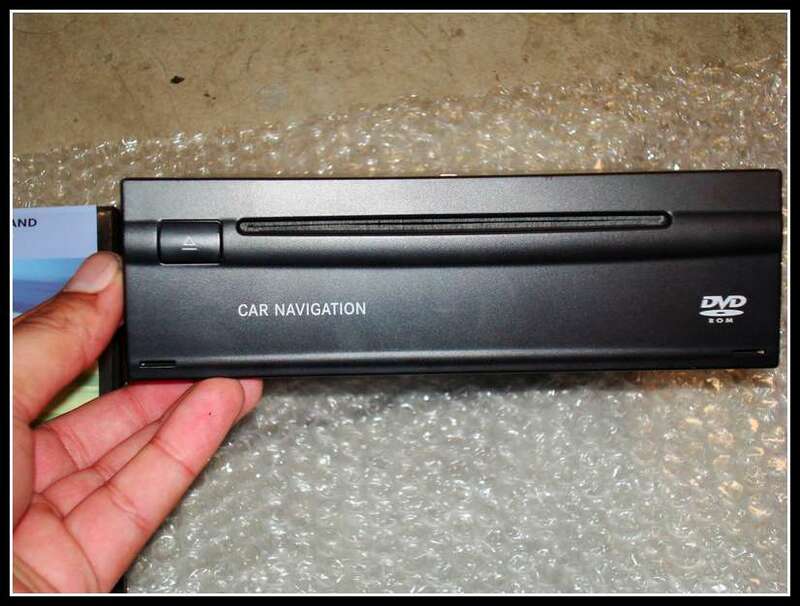 Also- where can I get the rest of the parts besides the Navigation processor online?? Good luck, let me know if you need any more help! Another happy installer! 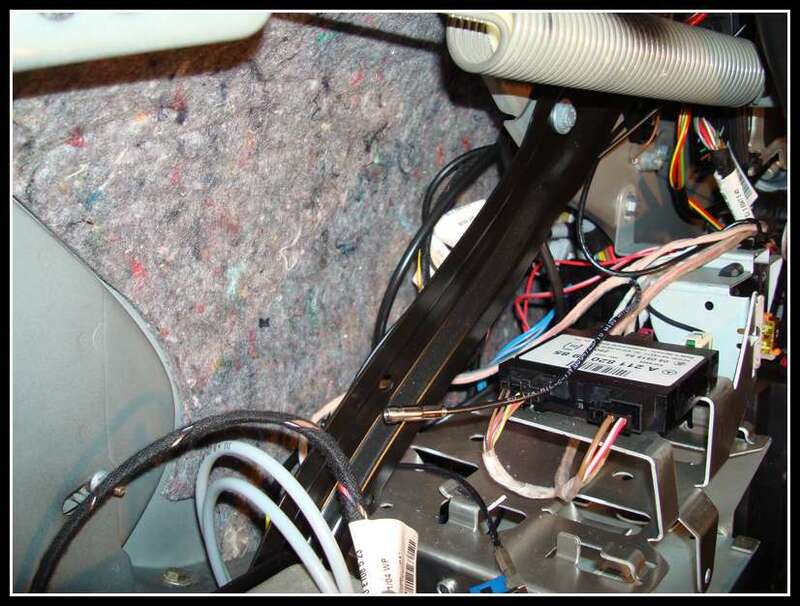 Thanks for the detailed information;I completed the install in 1 hour 45 minutes...it was great powering up the system and the Command unit recognized the DVD and GPS antenna immediately. I am a happy man. THANKS for THE POST!! This needs to be stickied. Very thorough writeup.